On a city lot, we built this gem. 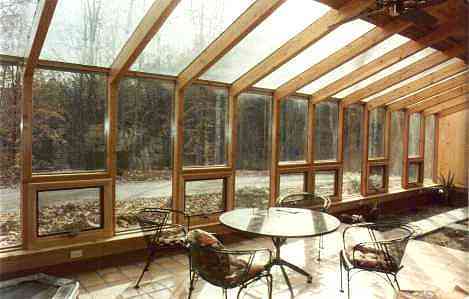 It's passive solar, active solar, and photovoltaic, as well as non-toxic, natural, and attractive. 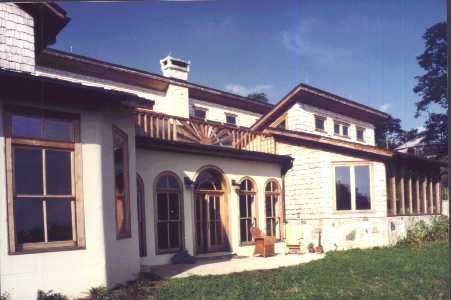 The owner is chemically sensitive, so we used natural solutions throughout the construction. He is also environmentally aware, and requested a greywater system (legal), locust deck and exterior landscaping, sustainably harvested finish lumber, permaculture gardens, and rooftop water collection. We made the most of this natural setting. The greenhouse is foreground to a functional solar design. 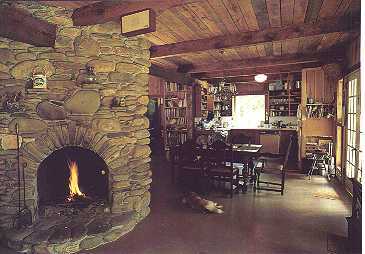 Passive heating, active in-floor heat, and off-grid solar electricity are featured. 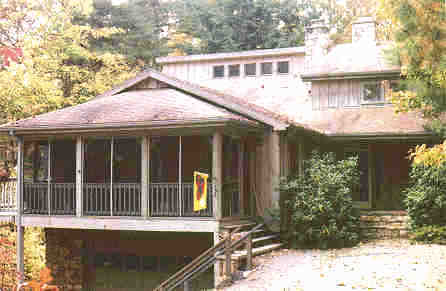 It's a remote location, but within easy driving distance of Asheville. 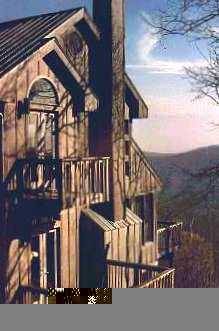 Upscale living on top of a mountain. Privacy and views are combined with artistic woodworking. 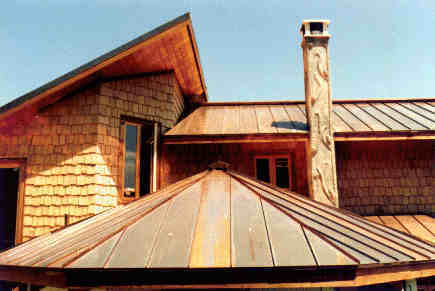 Passive and active solar off the grid, of course, but the beauty is in the details. Scribe-fit log joinery makes the post and beam work spectacular. We have to mention the wood carvings and antique stained glass and scandinavian wood stoves, just to name a few of the features of this outstanding house. On top of a mountain, with majestic views, this house dominates the scene. Even the basement apartment has a view. We highlighted the inside with curved balcony and kitchen counter. The design is modern, execution is timeless. 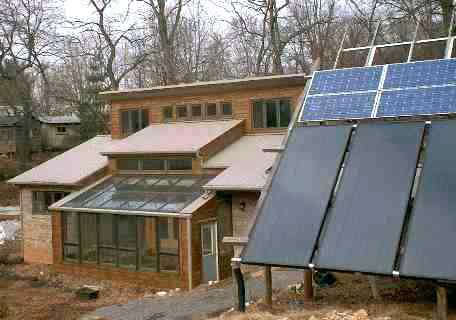 This handsome solar design has a greenhouse and woodstove heat. The form and function are exquisitely balanced. Special attention was applied to the use of local and recycled materials. Inside and outside, there's a tangible feeling of harmony and appropriateness. One owner wanted traditional styling, the other wanted modern. We built the best of both. Hand hewn beams on a rising ceiling create a grand living room. Cabinetry and curved stair are white oak, sawn from the property. The design is complete with passive and active solar, and Sunpipe daylighting.